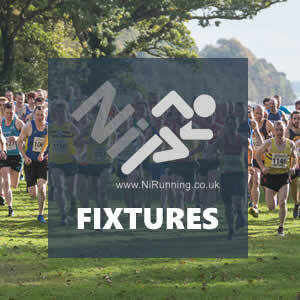 Hundreds take to NI trails for ongoing Sperrin Harriers and Born 2 Run Series events! On Saturday 2nd December 2017, Acorns AC athlete Eoin Hughes again emerged victorious as well over one hundred athletes turned out for Race 2 of the ongoing Sperrin Harriers Winter League Trail Series, the Lough Fea 5k, just outside Cookstown. Following on from his victory in Race 1 two weeks ago, Eoin led the field home comfortably in an impressive 16:20 (1stplace). 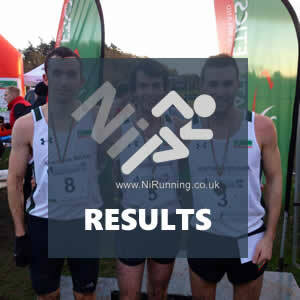 Shane Donnelly (Unattached), Paul McCafferty (City of Derry AC), Michael Murphy (Derry Track Club) and Seamus Bradley (Unattached) contested the remaining podium places, but in the end, it was Shane (17:28) and Paul (17:32) who took 2nd place and 3rd place respectively. In the ladies race, Mid Ulster AC’s Grace Carson brought her impressive performances at a junior level onto the senior playing field and recorded an excellent victory and sub-20 minute finish. Grace crossed the line in 19:36 (1st place). Gemma McDonald (Ballycastle Runners) returned to competitive action, taking 2nd place in 20:49, before Olivia Mullen (Greencastle AC) completed the top three in 20:59 (3rd place). 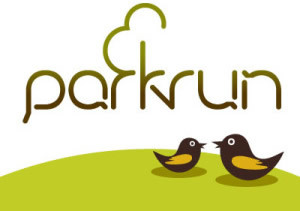 On the same day (Saturday 2nd December 2017), Born 2 Run welcomed hundreds of competitors to Loughgall Forest Park for the third race of their Run Forest Run Trail Series, the Loughgall 10k Trail Race. QUB AC’s Vincent McKenna held off Mallusk Harriers’ Mark Smith to take top honours in 34:17 91st place); Mark followed in 34:23 (2nd place). In the ladies 10k, Lagan Valley AC’s Julie Murphy topped the podium after crossing the line in 38:47 (1st place). Paddy Hamilton secures impressive win at Waterford Half Marathon 2017!